Distributed very widely throughout New Zealand; common in pasture, wastelands, forests, and roadsides. 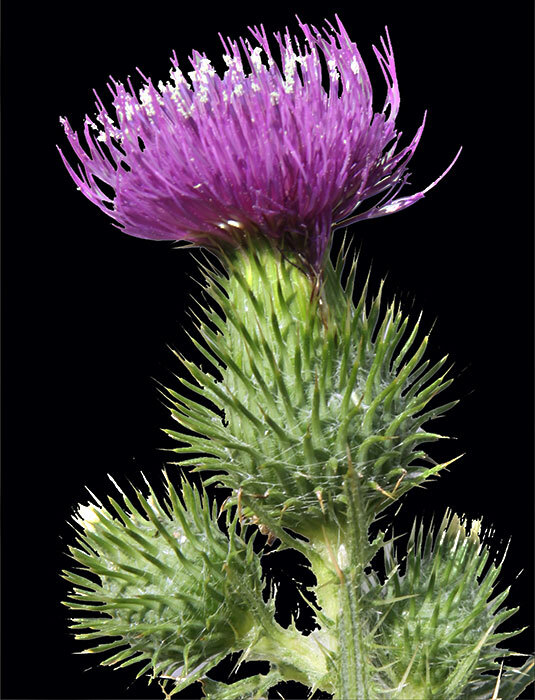 In New Zealand, this thistle can reach a maximum height of about 1.5 m.
In poor growing conditions, Scotch thistles can flower when as small as 30 cm tall. 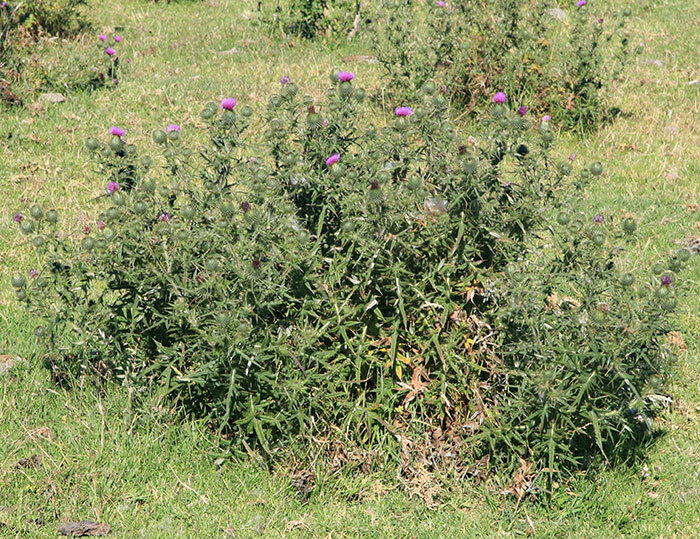 Scotch thistles can take up a good deal of pasture space, and thus reduce the availability of quality pasture to livestock. Goats will graze the plant once it is in flower, but most sheep will rarely graze this thistle at any stage. In areas where cocksfoot grows well it may be a better competitor than ryegrass. 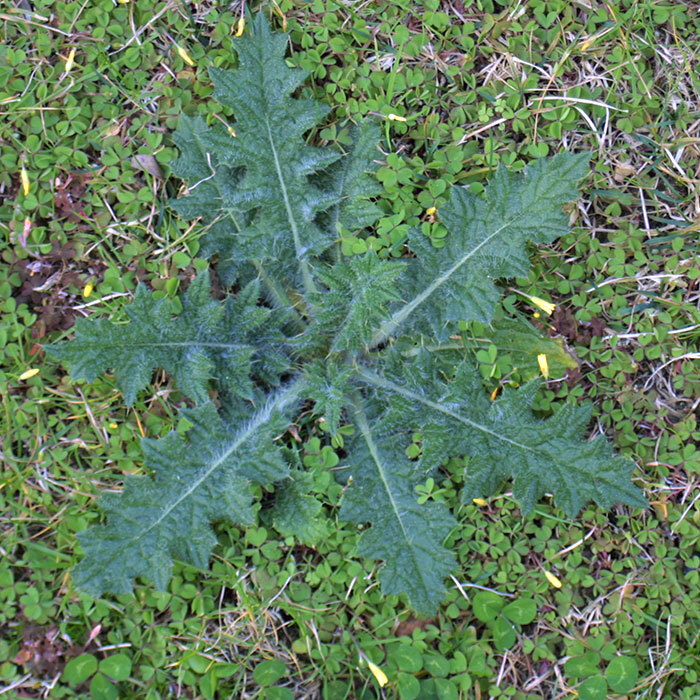 Scotch thistle seem to be susceptible to MCPB and 2,4-DB, both of which will kill Scotch thistles without damaging clovers, So far no resistance to these herbicides has been found in New Zealand. But farmers should make sure they are sure of the identification of the thistles in their paddocks before they decide on the herbicide to use. In spring and summer, spot spraying and weed wipers can be used for larger thistles, although nearby clover will also be damaged. Mowing is recommended in summer.